Совместный релиз Satanath Records с Ira Militias Productions: новый альбом "For Thine Is The Kingdom, And The Power, And The Glory" от французской black/death metal группы Necrocult выходит 29 апреля! / Co-release Satanath Records with Ira Militias Productions: new album "For Thine Is The Kingdom, And The Power, And The Glory" of french black/death metal band NECROCULT out on April 29th! 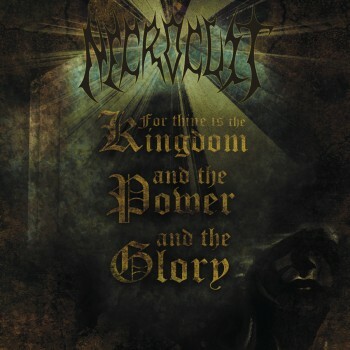 In 2013 Necrocult entered studio to record his second opus "For Thine Is The Kingdom, And The Power, And The Glory" that will be released by the dark alliance of Satanath Records and IRA Militias. 6 tracks for more than 40 minutes an elaborate dark and brutal black death metal, witness of incessant confrontation between two voices. Necrocult also offers a reflection on the journey, the mistakes, of the soul and his accession, deserved or not to the Final Thruth.